The Cheetah Girls is a made-for-television movie co-produced by Whitney’s BrownHouse Productions, based on a book series by Deborah Gregory about four teenage girls in Manhattan who dream of music stardom. 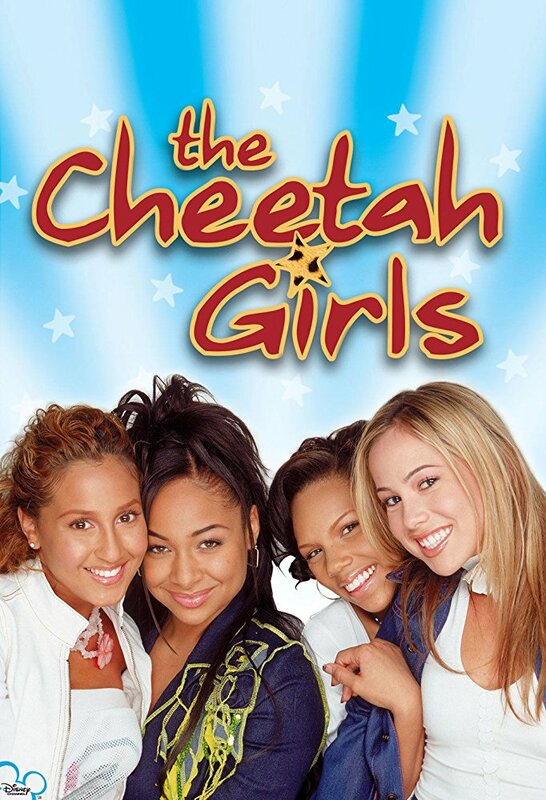 The film introduces 16-year-olds Galleria, Chanel, Aqua and Dorinda who’ve formed a group called The Cheetah Girls, with a hip, playful “slanguage” and a credo that suggests all Cheetah Girls are created equal, but not alike. They set out to get a record deal without compromising their principles, identities or friendship. The movie premiered to 6.5 million viewers on The Disney Channel and the DVD sold 800,000 copies.